The importance of maintaining a clean office space or any commercial property is that it will act as a factor for any potential client’s when considering your business as an option. The environment in which you and your employees work in is one of the most influential elements to getting the workforce to be more productive. If you are an employer looking at ways to maintain a clean office to improve the dynamics in the office, then here are a few tips for you. One thing most of us forget when considering the cleanliness of a commercial space/office is that cleanliness doesn’t only include the interior but the exterior too. If your work space has exterior windows and is situated higher up off the ground then you would require the work of professionals with the proper commercial window cleaning supplies. The efficiency of the business could be reflected on how consistently clean the office space is. 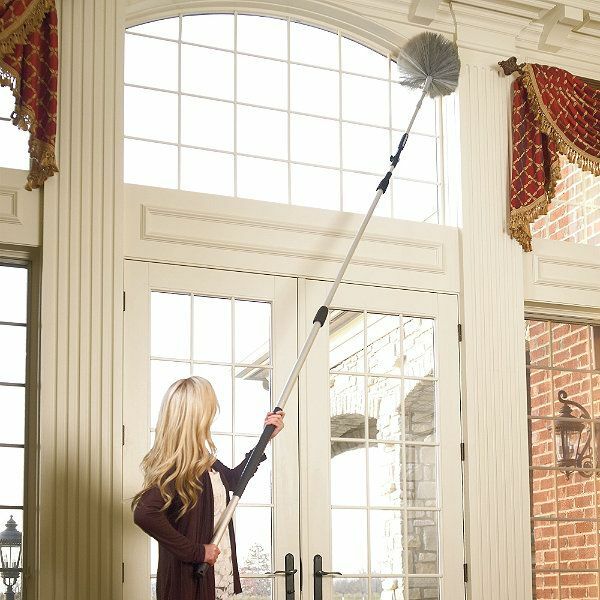 Therefore, it is important to have the basic cleaning utilities and window cleaning supplies in office so as to maintain the cleanliness daily instead of having to wait for professionals. Professional aid in cleaning is needed in order to ensure that the environment of the work space is kept clean and precise; however employees can help by touching up. In addition to the exterior cleanliness, here are a few ways you can maintain the interior of the office. Filing documents- one of the easiest ways in which an office can be kept neat is by avoiding the clutter made by paper. Paperwork that piles up throughout the office space makes it difficult for you and your employees to find documents easier and in general costs the efficiency of the business. Loose paper can be organised into filing cabinets and use a label-maker to label the files and cabinets according to the documents it holds. Another great alternative would be for you to store documents electronically.One of the easiest rooms to get dirty would be the office restrooms. This room requires daily upkeep and disinfecting. It is not only for cleanliness but also for the health safety of employees and clients. The basic requirements are toilet tissue rolls at abundance, paper towel holder and soap dispensers to be refilled regularly, sweep and mop the floor, and to disinfect the toilet bowls with the necessary chemicals. In order to maintain the freshness always use deodorizers inside. It is important to maintain the cleanliness of an office as it not only helps attract clients, but it also boosts motivation inside the office and in general keeps the health regulations maintained so as to avoid illnesses. Previous Post:What To Know About Roof Maintenance?